A widefield camera adapter for all Schmidt-Cassegrain Celestron/Meade telescope tubes. 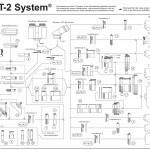 Allows T-2 accessories to be used with an SCT thread. Telescope side UNC 2" (50.8mm) nut with internal thread. Focus side T-2 external thread. Optical path length 16mm. Short T-adapter for all SC and MAK telescopes. Wide image field ideal for mounting the Baader or Zeiss binocular to Celestron Telescopes. I would like to know the total physical lenght (without the T2 thread) of the adapter BTA for SC and MAK (T2 part #21) 2408160. And also what is the lenght of the SC thread of this adapter? Hello. I am interested in getting the Alan Gee Telecompressor, and would like to mount it using this Baader T Adapter (T-2 part #21). However, I also have the #2956220 SC / HD-Clicklock Eyepiece clamp for my Celestron SCT 9.25. I wonder if I can attach the Alan Gee to the T-2 Part #21 and then have the #2956220 Clicklock on top of it, to make it really easy to change from visual to astrophotography applications. What are additional components that I would need to reach focus with a ZWO ASI224MC Camera? Please note that the recommended distance between Alan Gee and the field stop of an eyepiece or a camera sensor is 121mm. It should not be much further away than ca. 130mm, otherwise the quality may suffer. The 2" SC/HD-Clicklock has got a length of 47mm, our 2"-mirrors ca 112mm, our 2" prisms about 100mm (both including their clicklock eyepiece clamps) and our 1.25"-T-2-prism 64mm incl. eyepiece clamp. So, it is okay if you use a 1.25" star diagonal, but with a 2" star diagonal, the Alan Gee will be too far away from the eyepiece. You can use the BTA (#21) and the Expanding Ring T-2f / M48m (T-2 part #29) #2458110 (optical length: 2.5mm) to attach the Clicklock to the BTA. But we'd recommend this only for 1.25" star diagonals. The ASI has got a backfocus of 12.5mm from the T-2-thread, so you need ca. 108.5mm of distance. This will give you the desired working distance of 121mm. Can the T thread section be rotated relative to the SCT thread section and locked in any chosen orientation of the camera? There appears to be a locking screen (possibly even three of them) to do this but it is easy to misinterpret images on a web page. Indeed - the T-2 section can be rotated into any desired position with the camera firmly on - and then the rotational position of the camera is locked by rotating the big 2" nut onto the 2" SC-thread. Inside the mechanism you can see three pressure plates in 120° spacing. This may have irritated you as it indeed looks similar to some dead lock solution. However - this is just to increase pressure when locking down the SC-nut, so that the T-2 thread cannot slip sideways once the 2"nut is tightened down. However it does not hinder free rotation of the T-2 thread at all during finding the optimum rotational position of the camera. We hope it answers your question satisfactorily.